Pick your soundtrack, kick up your feet and enjoy your favourite brew. 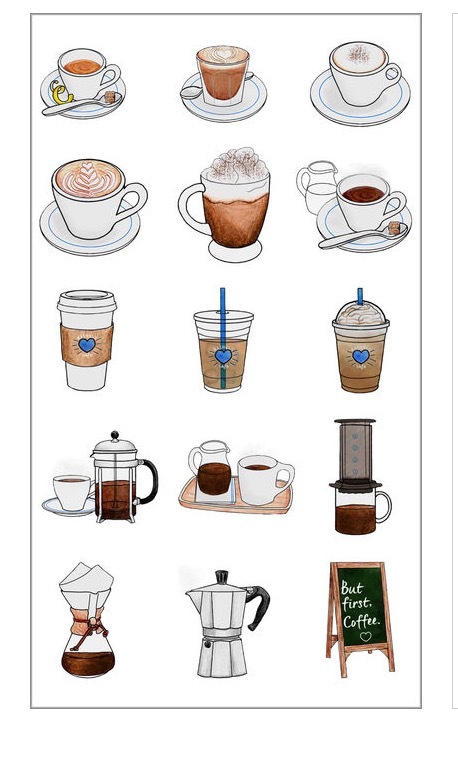 While sipping away, check out award winning illustrator Rachel Ryle. A self-taught artist who grew into an illustrator only a short time ago, Ryle often features the everyday comfort accompaniments to our life (aka: coffee) in her work. Check out the Apple App Store to see her amazing new coffee ☕️ iMessage sticker pack! With it, every coffee drinker can further share their enthusiasm for the bean in iMessage. Ryle is also a social media maven of sorts, having been named the #1 Instagram account to follow by MTV & BuzzFeed. Previous Post Unadulterated Caffeine Content – Sip Cautiously.